A New Addition to the Fleet | Wheeler Machinery Co.
Caterpillar acquired Bucyrus International, a surface and underground mining equipment company back in July 2012. With the acquisition of Bucyrus came a full line of rotary and track blast hole drills. 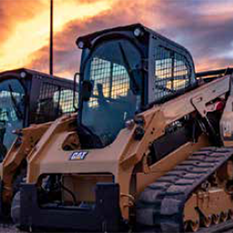 Since then, Caterpillar has invested significantly in this product line to bring it up to current industry standards. Today, Caterpillar drills are delivering world class performance at competitive costs. 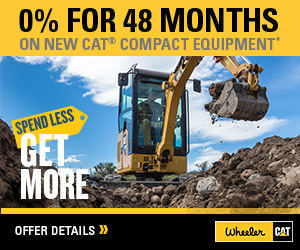 Wheeler Machinery offers the full range of Caterpillar rotary and track drills. We currently offer six models of rotary drills suited for various applications. These are bigger machines which use weight, pull down force, and rotation to drill holes between 7″ to 16″ in diameter. 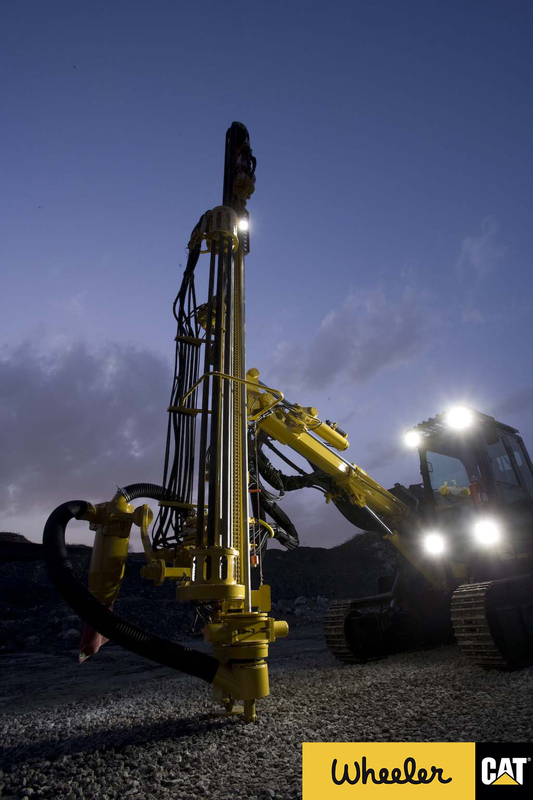 The Robinson Nevada Mine currently operates a Cat MD6640, 380,000 lb., rotary drill at their copper mine near Ely, Nevada. Track drills have hydraulic hammers mounted on the mast to deliver both rotary and percussive power that create hole diameters between 3” and 6”. In early 2016, Wheeler added an MD5150 track drill to the rental fleet. The MD5150 track drill has a 385 hp C11 engine and drills holes between 4” – 6” in diameter with a 102.5’ maximum hole depth. Wheeler’s rental fleet also includes an MD5075 which has a 300 hp C9 engine and can drill a hole with a 5” maximum diameter and a 102.5’ maximum hole depth. 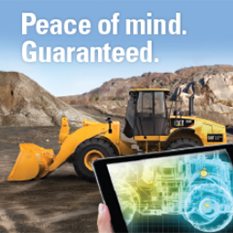 Learn more about the mining products Wheeler Machinery provides here.